Westminster, of course, doesnt exist. However, the Irish version of the same story, Brooklyn, found purchase with critics and arthouse audiences alike, grossing $61 million in North America (on an $11 million budget) and nabbing three Oscar nominations. If success begets imitators in the movie business, why does a 200-screen release of Westminsteror Pico-Union, another hypothetic feature but about an El Salvadorian nafs struggles in urban Americaseem so improbable? And what does it say about America in Annus Trumpilis that the only migrant story widely screened over the past year features a blonde Irish lass? After all, only 11% of American emigres in 2014 hail from Europe. A far greater number of new immigrants, representing 30% of the total in 2014, come from Asia, with another 24% from Central and South America. If the upcoming election supposedly pits an emerging diverse America against the Make America Great Again crowd of white nostalgia, Hollywoodor maybe the moviegoing publicwears a red cap. For all the noise of #oscarsowhite, the discordant note struck by feting Brooklyn slipped completely under identity activists radar. To be sure, we shouldnt expect (or want) art to speak directly to the topic du jour, no matter how hotly debated. 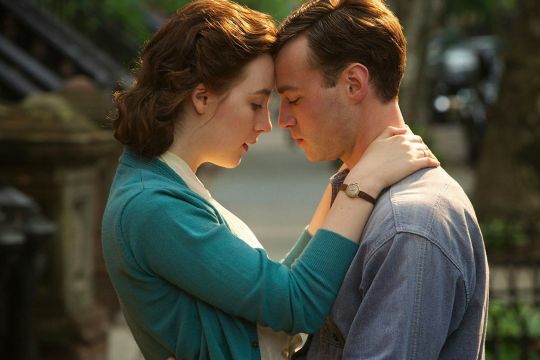 It would be churlish to begrudge the existence of a lovely, if imperfect, film like Brooklyn that graced us with Saoirse Ronans radiant Eilis. But its striking that Eiliss core dilemmathe agonizing choice between a young, confident America of infinite possibility and the comfort and joy of the old countryspeaks primarily to contemporary viewers who look nothing like her. As a child of immigrants, its hard not to conclude that the yearning and struggles of my parents only make it on screen when theyre embodied by a young blonde. But what I found most disappointing about Brooklyn, at least on a first viewing, isnt so much its whiteness as its conventionality. Aside from Eiliss bracing opacityshe seems at once precisely drawn and fundamental unknowablethe film had the feel of a prestige product by the numbers. Westminster, of course, doesn’t exist. 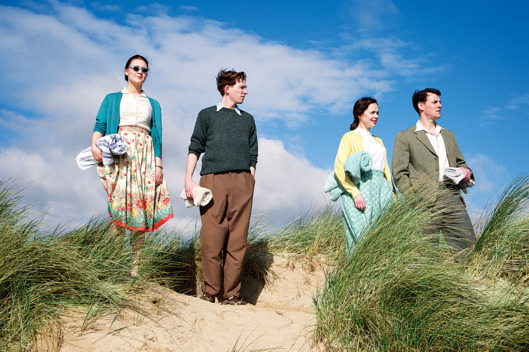 However, the Irish version of the same story, Brooklyn, found purchase with critics and arthouse audiences alike, grossing $61 million in North America (on an $11 million budget) and nabbing three Oscar nominations. If success begets imitators in the movie business, why does a 200-screen release of Westminster—or Pico-Union, another hypothetic feature but about an El Salvadorian naïf’s struggles in urban America—seem so improbable? And what does it say about America in Annus Trumpilis that the only migrant story widely screened over the past year features a blonde Irish lass? After all, only 11% of American emigres in 2014 hail from Europe. A far greater number of new immigrants, representing 30% of the total in 2014, come from Asia, with another 24% from Central and South America. If the upcoming election supposedly pits an emerging diverse America against the “Make America Great Again” crowd of white nostalgia, Hollywood—or maybe the moviegoing public—wears a red cap. For all the noise of #oscarsowhite, the discordant note struck by feting Brooklyn slipped completely under identity activists’ radar. To be sure, we shouldn’t expect (or want) art to speak directly to the topic du jour, no matter how hotly debated. It would be churlish to begrudge the existence of a lovely, if imperfect, film like Brooklyn that graced us with Saoirse Ronan’s radiant Eilis. But it’s striking that Eilis’s core dilemma—the agonizing choice between a young, confident America of infinite possibility and the comfort and joy of the old country—speaks primarily to contemporary viewers who look nothing like her. As a child of immigrants, it’s hard not to conclude that the yearning and struggles of my parents only make it on screen when they’re embodied by a young blonde. But what I found most disappointing about Brooklyn, at least on a first viewing, isn’t so much its whiteness as its conventionality. Aside from Eilis’s bracing opacity—she seems at once precisely drawn and fundamental unknowable—the film had the feel of a prestige product by the numbers.